Note: The following report originally appeared in the ICCS Infection Prevention & Control Newsletter. Sign up for this free publication by clicking here. It's been quite a year in U.S. healthcare, and that's certainly true for infection prevention and control. There were many significant developments and announcements that had immediate impacts on providers and others that will be felt for years to come. 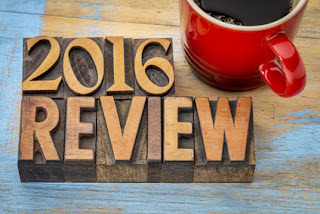 Let's look back on some of the biggest news items from 2016, selected by the ICCS team. Infections Associated with Reprocessed GI Endoscopes — A challenge for the past several years, infections associated with endoscope reprocessing, specifically duodenoscopes, remained a significant area of focus in 2016. The Society of Gastroenterology Nurses and Associates (SGNA) release of new and revised infection prevention-focused practice documents was intended to, in part, address factors that must be followed to ensure safe and effective GI endoscope reprocessing. FDA issued guidance in response to ongoing reports of the possibility of cross-contamination from water bottles used for irrigation during endoscopy. Zika Virus — No coverage of U.S. infection prevention and control news in 2016 would be complete without a discussion about Zika. It was in January when CDC issued an official CDC Health Advisory concerning Zika. Nearly every week thereafter, and often several times a week, CDC published new announcements about Zika. Surgical Attire in the Operating Room — In August, the American College of Surgeons released a statement on professional attire for surgeons in and out of the operating room. Aspects of the statement created significant confusion among hospital and ambulatory surgery center staff. It didn't take long for AORN to issue a response. FDA Finalizes Ban on Powdered Surgeon Gloves — In December, FDA finalized its ban on powdered surgeon's gloves, powdered patient examination gloves and absorbable powder for lubricating a surgeon's glove. This is only the second instance of an FDA ban of a device. Infection Prevention Violations in Ambulatory Surgery Centers — Despite increasing regulations and ongoing reminders of "best practice" in the ASC setting, suboptimal infection prevention and patient safety practices create potential problems for organizations. These practices threaten the wellbeing of patients and may also put an ASC's licensure and accreditation at risk. Technology Threats — Endoscopes are not the only devices associated with potential infection challenges. As ECRI's "Top 10 Health Technology Hazards for 2017" notes, other devices include "complex, reusable instruments, such as endoscopes, cannulated drills, and arthroscopic shavers." ECRI also identifies heater-cooler systems as a potential source of nontuberculous mycobacteria infections in heart surgery. As more complex technologies are developed, it is likely that new infection prevention challenges will present themselves. Pulpotomy Procedures and Mycobacterial Infection in Children — Dental infection control practices are coming under increased scrutiny as a result of a growing number of infection outbreaks over the past few years, including one in Southern California that was identified in September. An outbreak of Mycobacterium abscessus infections was reported in children ages 3-7 that had undergone a pulpotomy at a dental office. The water in the dental lines appeared to be the cause of infection. APIC Updates Safe Injection Practices — Continued transmission of bloodborne viruses and other microbial pathogens to patients as the result of improper injection, infusion, medication vial, and point-of-care testing practices prompted APIC to update its position paper, "Safe injection, infusion, and medication vial practices in health care." New Recommendations for ASCs Cleaning Intraocular Surgical Instruments With Enzyme Detergent — Inappropriate use or incomplete rinsing of enzymatic detergents has been associated with outbreaks of toxic anterior segment syndrome (TASS) in ASCs, which encouraged several ophthalmology societies to publish clinical guidelines for ambulatory surgery ASCs concerning the use of enzyme detergents to clean intraocular surgical instruments.